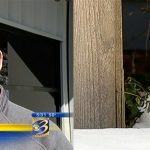 Cleaning the salt residue left behind from the winter months may be a large job, and you may not have the time, but ServiceMaster of Kalamazoo is here to help. We have professionals if you need, but we also have the information to do it yourself. If you have a small area that needs cleaning, or perhaps a few light stains from the salty winter months, follow our how to below, and hopefully your flooring will be back to normal. If you have a large, salt-stained area, or even small areas with very thick salt residue, your best bet is to hire professionals. At ServiceMaster of Kalamazoo, we have proprietary neutralizers designed to clean your salt-stained floors with ease. We accurately balance the pH level with our cleaners and leave your floors sparkling clean. Regular cleaners don’t work on salt residue. The pH balance of the salt residue is high (opposite dirt and grim) and that’s why normal cleaners usually smear and turn the salt residue into a big mess. The normal cleaners are raising the pH level, when the salt actually needs to be neutralized. Salt ruins floors, and using the wrong cleaners can possibly (1) concentrate the amount of sticky residue and leave excessive amount on the floor or (2) dissolve the finish on the floor. 1 c. vinegar to every 3 gallons of warm water. 1 c. vinegar and 2 Tbls. liquid dish soap (preferably Dawn) to every 3 gallons of warm water. Don’t have a microfiber mop? It’s ok, hand-cleaning with towels works just as well. The floor is more exposed when vinegar and coarse salt is moving around, and a light, soft cloth will less likely scratch your flooring. Make sure to use gloves and protect your hands. If the salt buildup is very bad and the vinegar and soap solution isn’t working properly, try using a floor scrubber or deck brush if your flooring allows. Apply water/vinegar solution of your choice to the floor. Let the solution sit for about 10-15 minutes. Use cloth of choice (microfiber mop, floor cleaner, deck brush, clean towels) to wipe down the floor and remove all liquid from the floor. 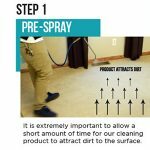 This cleaning method is meant for sealed flooring types only. If unsure, always make sure to test a small area first and leave cleaning solution on test-spot for an hour. After an hour, clean off and dry completely. If unaffected, you’re safe to clean the whole floor. Salt ruins floor finishes, and using the wrong cleaners can possibly (1)concentrate the amount of sticky residue and leave excessive amount on the floor (2)begin to dissolve the finish on the floor. Don’t leave the salt residue on your floors for too long, or you may need your floors stripped and re-coated. What About Salt on Carpet? If your carpet looks bleached white from salt stains and you want it cleaned without horrible frustration, you’ll want professional cleaning. If not horribly stained, you might be able to clean it yourself. But please take caution as carpets are more delicate than you think, especially when stained with winter salt residue. Vacuum first. Go back and forth on angles, making sure to push and pull from all angles of the carpet’s fibers. Remember: any salt or soil still left in the carpet will dissolve when you add the solution and will hinder cleaning up the stains. Use a soft brush to loosen all salt and dirt, and then vacuum again before cleaning with the solution. Lightly apply the solution, using the mixture above, with a sponge or towel on a spot test area. If it passes the spot test, apply to salt stained areas and let sit 10-15 mins. 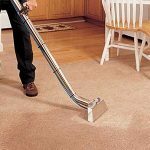 Remove all water solution from carpet using a clean dry sponge or towel. Blot the carpet until dry. You may possibly want to blot again with a damp sponge or towel to rinse and then blot again to dry. Make sure not to scrub. Extreme salt build-up on your floors can scratch floors easily if the salt is not removed on a regular basis. Cleaning up after salty residue can sometimes result in more damaging effects to your finished floor. Please consider calling us to avoid any more damage to your floors. 269-344-3600.